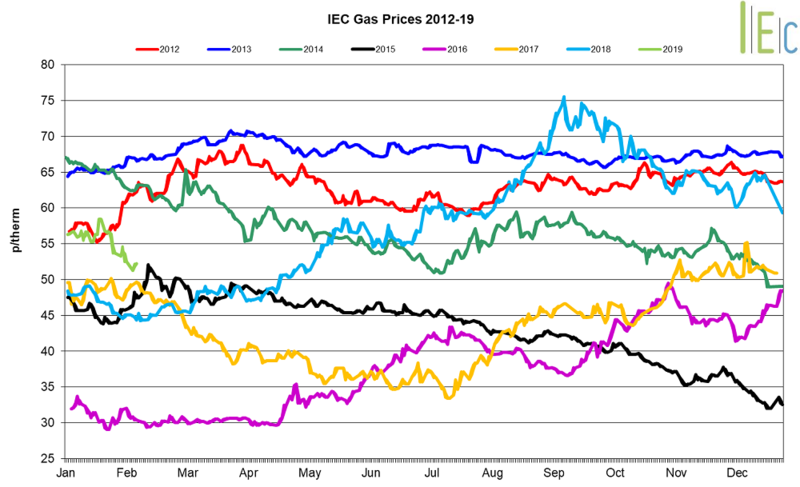 Day-ahead power prices have followed their gas counterparts lower, despite a rise in EU ETS carbon prices and periods of weaker wind generation. Gas-fired power generation accounted for 48.6% of the generation mix in January, up from 41.2% in December 2018. Further pressure has come from forecasts of milder temperatures across Europe into February, with high volumes of LNG, comfortable gas production and strong Russian gas flows into Europe also easing supply concerns in the event of any unexpected cold spells. French power prices increased towards the end of the month due to ongoing strikes at nuclear plants including EDF’s Cordemais (1.2GW) reactor, which has been extended until 13 February. This was despite the return of the country’s Flamanville 1 (1.3GW) and Belleville 1 (1.3GW) nuclear reactors bringing online capacity above 57GW, the highest for winter 18/19 so far. Brent crude oil prices rose for the first time in three months, up 2.4% to average $60.1/bl in January. Brent crude oil prices have been supported by the start of the latest OPEC production cuts, which aim to reduce the group’s oil production by 1.2mn bpd until June 2019. The rise in oil prices has been despite news that US crude production hit a record 11.9mn bpd in January, and growing concerns that weaker economic growth will dampen global oil demand as ongoing trade wars and sanctions hamper global economies. API 2 coal prices went down 3.5% to average $84.4/t in January. Coal prices have been pressured by a milder start to the year, with full coal stocks and increasing competition from gas in European markets. 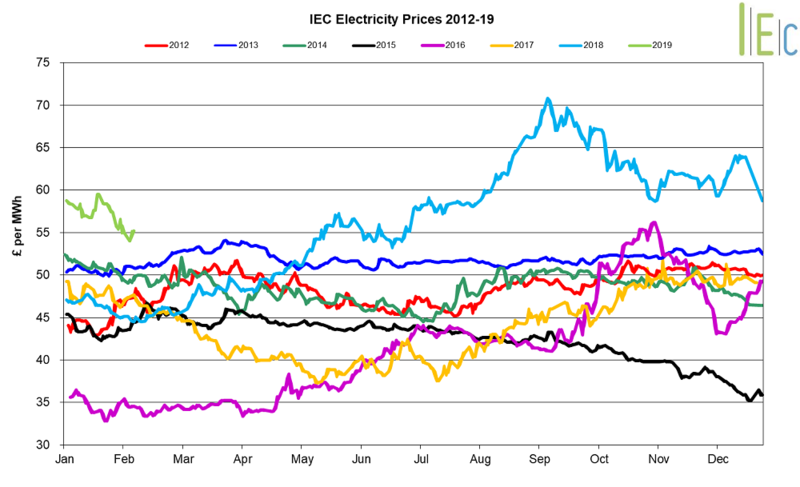 Despite temperatures dropping well below seasonal normal levels towards the end of January, forecasts of milder weather across Europe and the UK in February caused coal demand to fall, leading prices lower towards the end of the month as a result. EU ETS carbon rose for the second consecutive month, up 4.0% to average €23.5/t in December. The introduction of the Market Stability Reserve (MSR) in January resulted in a 40% reduction in EUA auction volumes, with only 38.8mn EUAs being available for auction in January, compared to a 2018 monthly average of 76.6mn EUAs. However, later in the month, EEX announced that German carbon auctions will resume on 1 February and will include the 21.8mn unauctioned EUAs from the postponed auctions since 14 November 2018. The return of German auctions, and forecasts of near or slightly above seasonal normal temperatures, eased buying concerns for EUAs towards the end of the month, with conventional power generation expected lower in February.